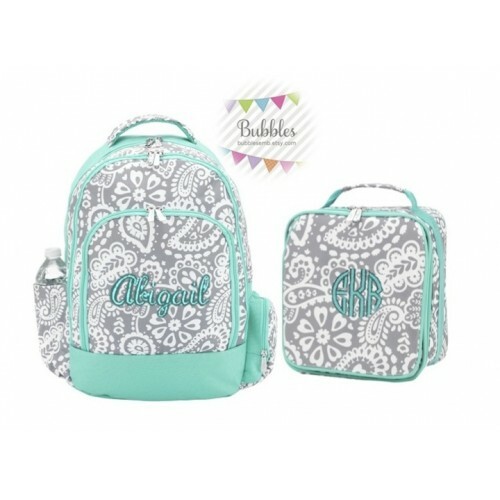 Super Cute Mint and Gray Paisley Backpack and Lunch Box Set-both personalized free! Please choose either name OR monogram. You may do name on one piece and monogram on the other, please just specify! This item will be in stock after June 16th. Turn around time for this item is 1-2 weeks.